My upbringing was normal; even sheltered most would say. My parents, high-school graduates, worked long hours in a factory throughout my childhood. Hard, blue-collar workers with hearts of gold. We lived on a small farm and I grew up with party lines and learned to drive using the hay truck during the summer. Because of the long hours my parents worked, my younger sister and I went to a sitter every summer. A neighbor was hired for the job, which was convenient for my parents, however if they only knew how incredibly miserable I felt going there I would hope they never would have sent me in the first place. The babysitter’s husband was a dirty old man who made sure that he made me as uncomfortable as he could without crossing the line. Their oldest grandson, however, didn’t share the same “line” as his grandfather. All it took was the one time, the one inappropriate touching from him, to start the scars I would be holding onto from that point forward. I had no idea those moments would affect the rest of my life. After hearing the babysitters husband committed suicide many years later, my heart raced even just thinking about what happened in that house so many years prior. I began dating my high school sweetheart at the age of fifteen. He was seventeen. Five years after we began dating, we said “I do.” He began working his way up the career ladder and I enrolled at OTC for my Associates degree. We really were not in any hurry to have children; we enjoyed the life we were building for ourselves. After I graduated from OTC, I began working for a local bank. After five years of marriage, in 2004, we welcomed our daughter Madison. Because of what happened to me at my sitter’s house years before, we had already agreed that I would stay home with our children, to safeguard them from the same fate. I remember looking at her, then looking at my husband, and each of us saying, “If we had known it would be like this, we would have had children much sooner.” I loved being a stay-at-home mom at first. It was the one thing I believed I was made to do...for awhile, at least. 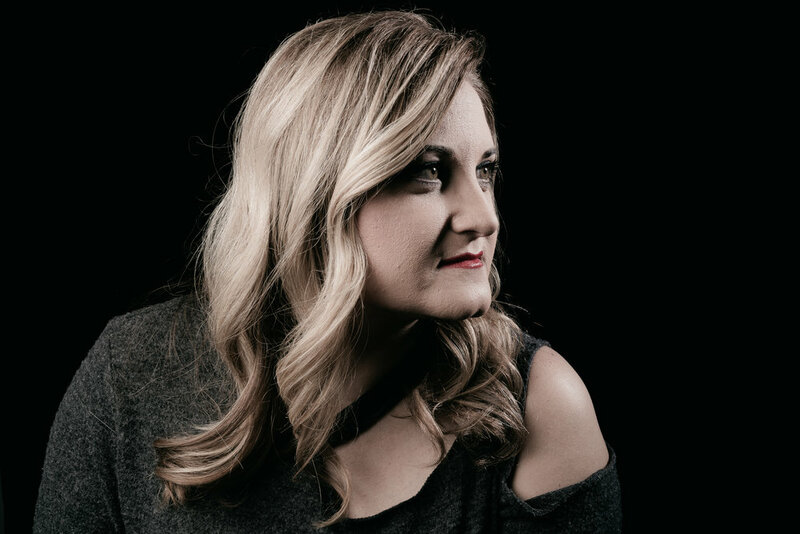 I can’t remember exactly when my attitude began to change, but after moving to Oklahoma for my husband’s job, an overwhelming sense of depression began to overtake me. I was stuck in a city where I had no family, no friends, and my husband worked long hours. I isolated myself. There were times when I questioned what my life had become. I was never satisfied and never was truly happy. Because of my misery, his job brought us back close to our hometown, where I could be around the people who meant the most to me. I hoped that would help me to feel better. We bought our dream home, my husband was working a great job, and we welcomed another child, Kassidy, in 2006. I literally had everything I could have ever wanted but I still was not happy. Then, again - life took a sharp turn. After twelve years of marriage in 2010, my husband decided we needed time apart. After a short separation period, he asked for a divorce. Shortly after, he moved out of state and took a better job. All the dreams, all the goals, all the plans we had made together…vanished. I was angry. I was sad. And even more so for our girls. In a single day, I went from being a full-time stay-at-home mom, living a comfortable life and doing my best to raise my daughters, being a wife and taking care of our home - to being a full-time single mom, whose future was uncertain. I had no idea what I was going to do or how I was going to even survive a life that had been so fully engrained with another soul. I allowed myself a full year before I started dating, but quickly I saw that it took very little on my part to get attention from men. I was in such a vulnerable state, it became almost an obsession to validate myself with the attention of virtually any man who noticed me. I craved it. And though I loved the high of giving myself to men, it left me consistently wallowing in shame, guilt and worthlessness. The type that doesn’t slip away in the middle of the night like so many of the men did. My heart longed for something more: it was broken. I was broken. Inside I knew I was meant for more … I just had to figure out what that was. And I needed to figure that out for me...no one else, just me. As a single mom, I wanted to reach out and find others who could perhaps bring me to a place I knew in my heart I wanted and needed to be, and I knew others were in the same boat I was. SingleMomzRock was born from my own need, which I thought would consist of hosting a bible study in my house. That little bible study became much, much more. Today, we host blog posts from national writers who have something to share with our single-parent community, which numbers in the thousands. We’ve been able to help countless families with essentials like food or shoes, coats and pajamas at Christmas for each of their children. We give moms a special night each year on Valentines Day where they know they are loved, valued and seen. We were even able to gift to a mom a car; a necessity that so many of us take for granted. We also offer hope and empowerment through this season of their life and encouragement to keep going even when they want to give up. Five short years after my divorce, things in life were going fairly well. I felt like some of the reckless decisions I had made as a single woman had subsided and I was coming into my own. I bought my own home, owned a new car, had a great job. I even went back to school to start on my Bachelor’s degree. I sat on several different committees that I was passionate about within our community. I was making a name for myself and working hard to make sure people knew about my labor of love, SingleMomzRock. Then I met someone. He was a pastor; exactly the kind of man I’d been waiting for. Following a short courtship, we married. He talked about doing ministry together. He supported everything I did and wanted to do. He had his own business, and he treated me very well, always doting on me. And then it happened again: my world literally ripped right out from under me. One month into our marriage, the Sheriff’s department knocked on my door. My “pastor” husband was arrested for a probation violation that I was unaware of. I wasn’t able to talk to him for three days, so I turned to his family and began asking them questions. I found that virtually everything he’d ever told me was a lie. On our one-month anniversary, I went to the jail (my first time ever being in a jail) and looked at the man I’d pledged my life to through the clear plexi window. He cried and told me he was sorry. Sorry. A short time later, he was extradited back to the state of his original charges. My head was spinning. I wanted to crawl in a hole and never come out. How could I not see what a liar he was? Why did I trust him? Why did I crave love so badly that I believed him? Even the times when I knew something was off, I just trusted what he said to me. How could I let this man into my children’s lives? His mom was the one who finally gave me the nudge to file the annulment. She knew I deserved better, that this wasn’t the life I needed to live. He ended up serving time for stealing $30,000 from a member of the church where he was serving as pastor. Our marriage was annulled. I never looked back. I wish I could erase so many memories during that time. That part of my life really broke me. It broke my faith, it nearly broke my family. It broke friendships. It broke me financially; I was forced to file bankruptcy because of the financial decisions I made when we decided to get married. I nearly lost everything. But you know what else it did for me? It made me stop. It made me take all the masks off. It made me start being intentional with my daughters. It made me start putting my phone away. It stripped away all that didn’t need to be there, so I could truly see what was left. And it appeared there wasn’t much. But somewhere buried inside there was still purpose. There was a heartbeat. There was a love for my daughters that was stronger than ever. There was a bond with my single moms that was fiercer than ever. A connection with my family that is now unbreakable. And a circle of friends that is a heck of a lot smaller but much more meaningful. That heartbeat started getting louder and louder. Today we are doing this photo shoot on my fortieth birthday. I planned that intentionally. Just like I try to plan a lot of things more intentionally these days. I wanted to be able to sit and think of my story and turning forty at the same time. Thinking about where I have been, what hell I have come through and where I’m at today which I can honestly say, is the best place I’ve been in since I can’t remember when. My girls are now twelve and fourteen and are some of the most inspiring people in my life. I have my dream job at Victory Mission where I coordinate Special Events/Outreach. It’s a position they literally created for me...how cool is that? SingleMomzRock has a home at Victory Mission too, where we are in developing stages of creating women’s programming, which I couldn’t be more proud of. 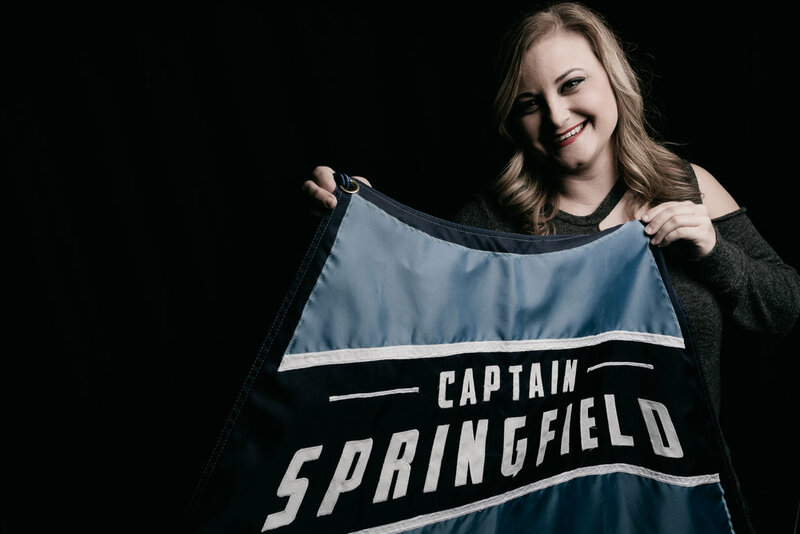 I graduated from Evangel with my Bachelors Degree in Business Administration this summer and to top it all off, I was recently voted Captain Springfield. I am happy with myself for the first time in a long time. My laughter rings throughout my days instead of being filled with anxiety and depression. To see where my pain has come from, in all facets and forms-but to know that there was purpose from that pain is a true treasure to me. I no longer carry around the shame, guilt or grief that I had held onto for so many years. The past eight years has handed me more trials and tribulations than I could have ever imagined. Sacrifices and stumbles. I’ve felt like I was on top of the world, and I’ve fallen flat on my face (more than once). But I continue to get up and use my purpose from my pain to help others see their purpose from their pain as well.